Majestic and absolutely stunning beach front estate located on sanibel island, florida. This mediterranean influenced gem was meticulously built and designed. Gorgeous exterior and interior detail finishes compliment the richness of this private residence that offers second to none magnificent gulf of mexico views and quality. Fully equipped and offered with all the bells and whistles - this is a one of a kind presentation for sw florida. Luxury appointments one would expect are included throughout this private enclave additionally including elevator, multiple game rooms, wine room, theatre, indoor/outdoor kitchen, office and optional additional bedrooms - all surrounded by professional decorating and custom designed furnishings that are also included with this truly commanding and elegant presentation. Rare opportunity on prestigious west gulf drive. Located near the cul-de-sac this 1. 7 acre property offers 200 feet of beach frontage, a 3 bedroom, 3 1/2 bath main home on a high ridge with breathtaking gulf of mexico views, an open floor plan, high ceilings, office/loft with fireplace and multiple decks. The guest cottage is internationally known as the walker guest house and was designed by architect paul rudolph. This cottage is considered the pedigree of mid-century modernism and was recognized by the aia florida chapters best residential building in the state of florida. The project is also known as the cannonball house because of rudolphs use of red cannonballs as weights to hold the homes signature wood panels in place. Lush vegetation abounds on this pristine property that has been owned by one family for 4 generations. One of a few sanibel residential gulf parcels that allows two structures. Lot size is 74,294 sf. The pink house! Magnificent landmark estate situated on 150 feet of prime bay frontage on one of the largest bay front lots (+/- 37,500 sf) on sanibel. Located at the end of a private shell lane, this home is the ultimate in privacy with breathtaking views. This is a rare point lot with bay and canal frontage and adjoins conservation land. Major replacements in the last year include: all new impact windows & doors, new standing seam metal roof, stucco repair, all new exterior paint, railings & decking. Features include detailed craftsmanship, walls of windows, living room and family room, each with fireplace, four bedrooms including two master suites, one with a new bathroom and adjacent sitting room, private office, gourmet eat-in kitchen, hardwood floors, detailed mouldings, dumb waiter, 2-car garage & more. Remodeled pool adjacent to sandy beach and a completely enclosed lower level. This sanibel island beach front home is in a class of its own compared to others on the market today. This is an amazing piece of property, totally private yet a minute walk to five star dining, a corner market and a marina. Situated directly on the gulf of mexico on one of the top shelling beaches and best sunsets in the world. Surrounded by tranquil views of the gulf of mexico can only bring peace and relaxation to the soul. Engulf yourself in the history this home holds or renew it to your own vacation or retirement paradise. This is one of the early homes built on sanibel owned by the mitchell's who developed the surrounding area. Thomas edison and his wife frequented the home on many occasions for luncheons and bird watching. Home has been updated and added onto over the years. The main house has 3 bedrooms and 2 bathrooms with a den/sleep over room. The kitchen is beautiful with original hardwood floors. A wrap-around porch for sitting and enjoying the fantastic sunsets in the one of a kind natural setting. An enchanting 1 bed, 1 bath guest cottage is next to the main house. This home surrounds you with comfort and takes you back to an earlier time. H. 13709 - custom new construction-built to the highest specifications by renowned swfl builder pgi homes. 4 bed+den/media room, 4. 5 bath, 4 car-garage. Current coastal design & palette reflect this gorgeous setting with over 175 of direct sanibel bayfront! Upon entering your eyes are drawn upward toward the glass elevator & 3 story windows with endless bay views. Home features superior finishes to include weathered oak flooring, quartz clad feature walls & shiplap ceiling accents to name a few. Kitchen features cambria quartz counters and island, built in thermador refrigeration and bosch appliances. All bedrooms are en suite and feature custom california closets, 3rd floor beds have bay view balconies. Baths feature porcelain tile, quartz and marble tops and custom mirrors. 4-sided infinity spa is integrated into pool. Home is storm ready and features top rated low-e pgt impact-resistant windows, sliders and impact doors. Control4 home automation system allows you to control lighting, av and security from anywhere. Trane 18 seer 3-zoned ac system. Separate parcel offering deep-water direct access & a new dock located across street is available for separate purchase with the home. Incredible opportunity to own the very best beach front property in the heart of premier west gulf drive on sanibel island. This is 1 of 3 lots available. Each lot has 104+ ft of beach and road frontage, totaling 314 ft for all 3 lots. West gulf drive is considered the most desirable location on sanibel and captiva island. This property is an ideal location for your dream estate and has fantastic depth, which provides incredible privacy from the beach and the road. Each lot enjoys over 1. 5 acres of land with a coastal control line that extends straight along the beach side, allowing you to enjoy panoramic and unobstructed views. The property sits on a high ridge, enjoys beautiful views of sand dunes and sunsets, and has an extremely private and wide beach area. This is a rare opportunity to find such a perfect piece of property on a premier beach location on sanibel and captiva islands. Build your dream estate on this unmatchable property. 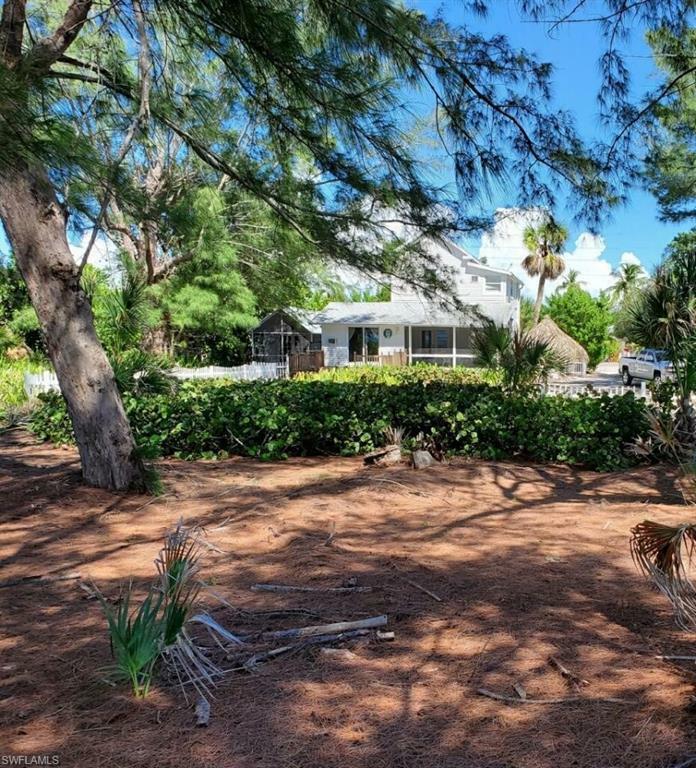 This awesome upscale yet casual beach house is located on sanibels very desirable east end and features amazing wide waterfront views & a natural shore line to enjoy daily walks on the beach. This home offers 4 bedrooms/4 bathrooms, a spacious split bedroom floor plan, gorgeous wood floors, open kitchen, huge lanai & porch space, impact windows & doors, elevator, fire place, huge bonus area, fantastic pool entertainment area w/a large lush back yard. This home has been well cared for & totally remodeled. Perfect island getaway conveniently located to shops, restaurants, on & off island travel & more. Click on virtual tour for a video movie walk through.